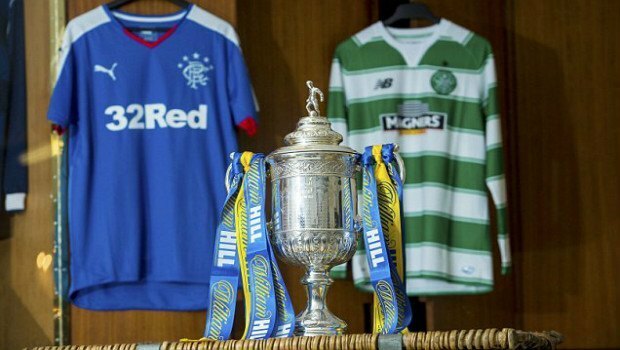 Scottish football fans will finally get to see their first Old Firm game in over a year this weekend, with Rangers meeting Celtic on Sunday for an undoubtedly exciting 2016 Scottish Cup Semi-Final encounter sponsored by the world-class William Hill. Also playing at the weekend will be Hibernian and Dundee Utd, who will meet on Saturday in the first of these two crucial cup-ties. A drop in form has seen Hibernian fall six points behind Falkirk in the promotion race, but Hibs still have two games in hand to resurrect their hopes. In the meantime, they’re faced with the chance to qualify for the Scottish Cup final and play for their second trophy in five years. The Scottish Cup has been a rare source of hope for Dundee Utd in what has been a tough season. With only five games remaining, the Tangerines are eight points adrift of Kilmarnock at the bottom of the Scottish Premier Football League table and look set to be relegated. The cup will be a welcome distraction for the fans, but the players may find it hard to forget about the league. In light of the contrasting circumstances, Coral Sports considers Hibs to be the favourites at 7/5, while Dundee Utd offer higher value at 9/5. Both sides will meet at the neutral setting of Hampden Park on Saturday, with neither able to claim a home-field advantage. In fact, a draw might not be such a distant prospect at 9/4, as both sides could be distracted by their potential SPFL futures. "It’s another game of football...[I’m] bemused by people who say you won’t be able to deal with it." This will be the Englishman’s first Old Firm in charge of Rangers, having taken charge of the club in June 2015. Earlier in the year, Rangers played against Celtic for the first time since being forcibly relegated from the SPFL in July 2012. That day, caretaker manager Kenny McDowall oversaw a 2-0 defeat in the League Cup in February 2015. A season on from the defeat, Rangers fans are buoyant after securing their return to the SPFL and clinching the Challenge Cup. Nevertheless, Coral's bookies have priced Rangers as 7/2 outsiders, while opponents Celtic are available at shorter odds of 4/6. In fact, Coral Sports views a draw as being more likely than a Rangers win in 90 minutes, pricing the former at 11/4. Rangers have spent four seasons out of the Scottish top flight, leaving Celtic clear to win four straight SPFL crowns. During that time, Celtic also appeared in two consecutive Champions League tournaments under former manager Neil Lennon, with the team even making it to the round of 16 in the 2012/13 season. Ronny Deila was the man tasked with replacing Lennon and made a positive start by winning the SPFL and League Cup in his first season. This year, Deila is again targeting a double, but one comprising the SPFL and Scottish Cup. However, Deila has failed to qualify for the Champions League during his reign, leading some to compare his achievements to Lennon’s. "It seems ironic that someone is about to win the league title and people are talking about getting his P45". At present, Celtic are three victories from retaining their crown and could clinch their fifth SPFL in five seasons against second-placed Aberdeen on Sunday 8th May at Celtic Park. For all the latest William Hill Scottish Cup odds, head on over to Coral's topnotch online football bookie today!